[Image description: poster advertisement. White background with shades of green streaming from left to right. Text reads CORE curriculum outreach resources, education. 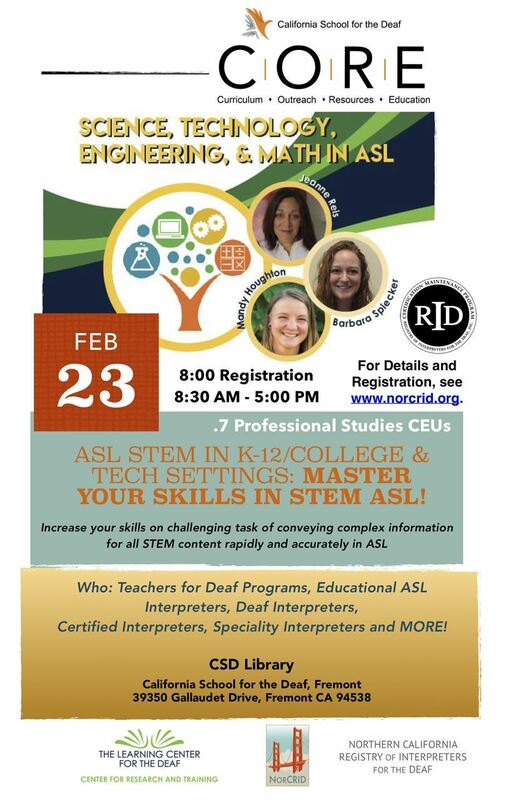 CSD Fremont hosts Science Technology Engineering and Math in ASL. February 23, 2019. 8:00am Registration, Workshop from 8:30-5:30.